Yellow perch are near-shore species of the Great Lakes whose populations reached peaks in the 1980’s before declining in the 1990’s. Their population has been historically variable due to habitat loss, invasive species, and overfishing. The largest fishery for yellow perch is in Lake Erie with 3,122 tonnes landed in 2012. The yellow perch in Lake Erie have been increasing in abundance over the past few years. Yellow perch in Canadian Lake Superior have a history of being overfished until the fishery was closed in 2004. However the population is currently recovering and is well-managed to prevent overfishing. In US Lake Superior (Michigan), populations are stable and fishing rate is low. In Lake Huron, the population decreased in the 1980’s to 1990’s but is now recovering. Yellow perch are harvested from Lake Ontario in both the US and Canada and would benefit from more thorough stock assessments. Stocks in Lake Michigan are of moderate concern due to poor survival of juveniles. The yellow perch fyke net fishery of Maryland operates mainland in winter in the Chesapeake Bay and tributaries. Almost all the landings of yellow perch in Maryland are from this fishery. The fishery consists of small boats, and is highly traceable with tags which allow tracking from harvest to market. These tags are issued by the Maryland Department of Natural Resources. In 2014, 25,093lbs were landed. The Maryland yellow perch are sold domestically with no foreign exports. The management body responsible for the yellow perch fyke net fishery is the Maryland Department of Natural Resources. In 2002, a fisheries management plan was established, and in 2009, a total annual catch was implemented. As a result, abundance has been relatively stable except for certain tributaries which remain depleted. 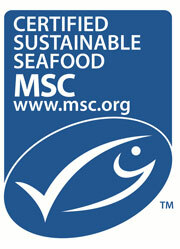 All fish are tagged individually which allows for reporting compliance, enforcement, and traceability. The fishery is currently healthy and is not being overfished. Much is known about the population as both fishery-dependent and fishery-independent data is collected. Fyke nets operate similarly to traps and thus have low habitat impacts. More studies exploring the impact of the fishery on the ecosystem, as well as bycatch impacts are needed. Bycatch is of some concern as it is not measured, documented or managed. It is unknown whether threatened species are part of the bycatch. Terrapins may be caught as bycatch during warmer months, and if nets are left in the water after the winter fishing season has closed. Yellow perch is currently farmed by only one operation, Bell Aquaculture, located in Indiana, U.S. Most of the demand for yellow perch is from the North Central U.S., and in 2010, 797 million tons were landed by the commercial fishery in the U.S. It is estimated that in 2012, Bell Aquaculture produced 485 million tons of yellow perch. Yellow perch have been targeted by commercial fisheries operating in the Great Lakes for at least 100 years. The aquaculture of yellow perch relieves pressure on wild stocks to satisfy consumer demand. There is minimal habitat and ecosystem impacts since the farms are not located on particularly sensitive habitat, no harmful chemicals have been used to date, 99% of the water is recirculated, and fish waste is converted into organic fertilizer. In addition, the farm has created an artificial wetland that helps to filter waste water. There is some concern about the feed used to grow the yellow perch as there are some uncertainties regarding the exact source of the fishmeal. However, many other aspects of the aquaculture of yellow perch have minimal impacts on other species. Since the yellow perch are reared indoors, there is little risk of predator mortality. Risk of escape and spread of disease is extremely low, since the fish are farmed on land, and are not directly connected to other water bodies. There is also no stress imposed on wild stocks, as fish are sourced from domesticated and farmed broodstock.